During the inter-war period Kings College of Household Science developed a strong emphasis on nutrition and dietetics as a branch of household science, along with the comparatively new science of bacteriology. As a prospective teacher she also took vacation courses in needlework (at the Royal School of Needlework) and in food preservation before undertaking teacher training at the Manchester School of Domestic Economy. As a graduate, Winifred was unusual in working in the state elementary sector. Her first post was at Trafalgar Square Cookery Centre in the Mile End Road in the East End of London, where girls aged 11 to14 attended from surrounding schools. 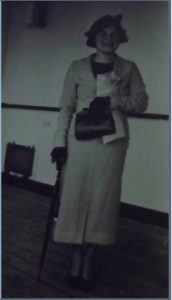 Having been evacuated with Trafalgar Road School she gave food demonstrations to mothers of schoolchildren and local Women’s Institutes, and teaching at Sale Girls’ High School in 1940 (and later at Liverpool’s Fanny Calder College) she juggled rationing in her cookery teaching. 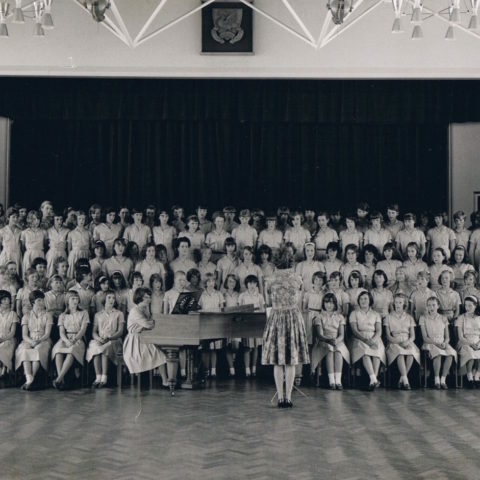 In 1944 Winifred moved to Liverpool’s City Technical School for Women / F.L. Calder College of Domestic Science, where she lectured on dietetics, cookery and housewifery, trained first year students in practical demonstrations prior to their practical teaching in schools, and engaged with local schools and local works canteens. All blog posts are my copyright and may not be reproduced in any medium without my permission and full acknowledgement. You are welcome to cite or quote from the material on the site provided you acknowledge the source fully.